The first thing you should do after moving in is to take pictures of everything. This will help you if your landlord tries to charge you for preexisting damage. The quickest path to a clean apartment is to never let it get dirty. As soon as you’re done using something, get rid of it. Don’t let things pile up! Keep appliances cheap but don’t be afraid to spend on a comfy bed. Good sleep is priceless! All the benefit of a real oven but faster and easier to clean. Get one–you’ll thank me later. Chances are you won’t be living alone. It’s better to be on the same page from the beginning. If you want to tell them something don’t be afraid to do so! 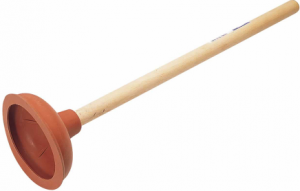 You’ve probably taken your plunger for granted up until this point. Get one before it’s too late! This is especially helpful in choosing a room. There’s nothing worse than the sun waking you up at the crack of dawn in the morning. Always face west. Not only will you avoid the Freshman 15, but you’ll save money as well. 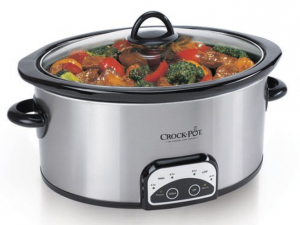 Invest in a crockpot if you need to! You’ll see them almost every day so go over and introduce yourself.